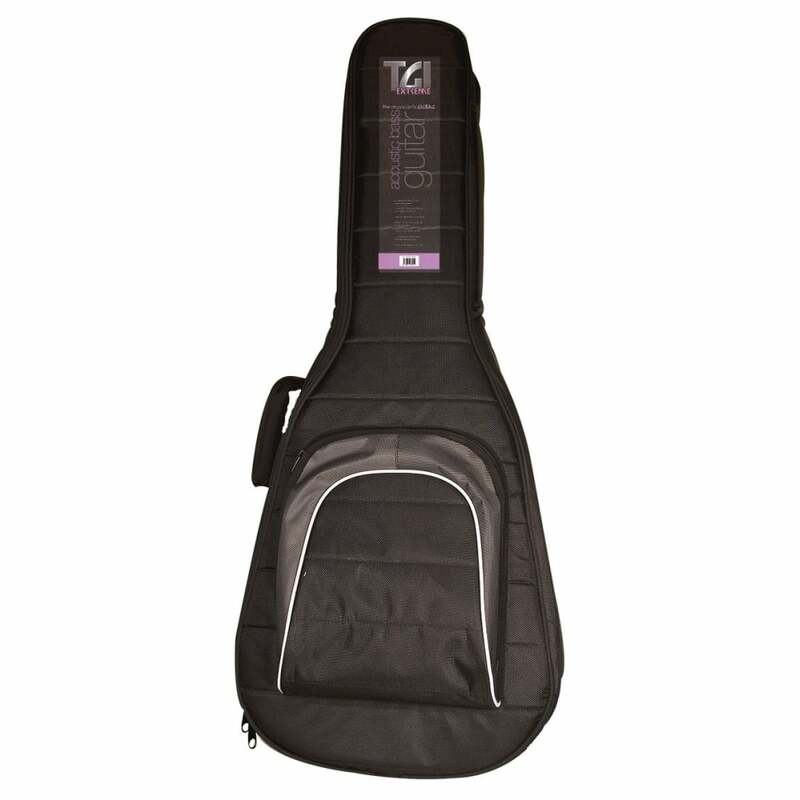 The TGI Extreme series gigbags are made from black woven nylon with contrasting piping featuring 20 mm double heavy padding / 70 denier ,no-scratching, lining and strong and comfy carry handles. Also features a music/accessory pocket.Length: 125cm, Lower Bout: 48cm, Upper Bout: 37.5cm, Depth: 15.5cm. Good quality case at good price. Was the only case I could find that was long enough to fit my acoustic bass in.